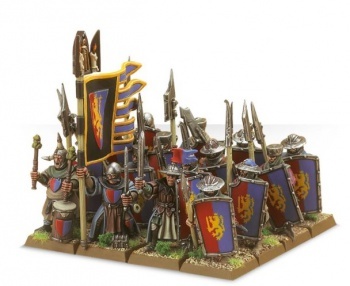 Warhammer Fantasy Battles from Games Workshop is a game all about the regimental combat of armies in the medieval style that has been around since early 1983. It is similar to Warhammer 40k, using similar stat lines as well as concepts for army list creation and even sharing several mechanics. Where 40k is grim, dark gothic sci-fi combat with genetically altered super soldiers and massive engines of destruction, fantasy is your typical High Fantasy setting of knights, wizards and mythical creatures akin to something along the lines of a Tolkien novel. Both games share a central concept of battling against the forces of Chaos, the primordial evil attempting to shred or dominate the mortal world, but fantasy keeps it to the scale of nations instead of planets. Over the years, the narrative has remained largely unchanged, even with the addition of new forces, they still fit in with the feel of the world. Recently however, Game Workshop has been releasing a narrative campaign called The End Times. 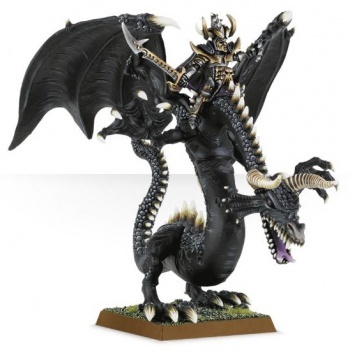 The End Times is a world shattering event that is set to forever change the story of the Warhammer Fantasy world. Now, admittedly I've been out of the Warhammer Fantasy scene for a while, but the concept of The End Times has drawn me back in and rekindled my interest in the the game based on the direction it seems to be going. Normally, fluff isn't something most mini wargamers are concerned about when it comes to the state of the game, but in this case the events that are unfolding are leading to some very interesting rumors and speculation as to what will happen in 9th edition. There are far too many changes to the Warhammer Fantasy Mythos from The End Times to cover, so instead today I'd like to cover the ones that lead to the most interesting rumors and speculation. I'll do my best to cover as much ground as I can, but The End Times is a rather expansive campaign that touches every army, character and spans several books that are even now continuing to be released. Additionally, bear in mind that until official word comes down from Games Workshop this is all just speculation from numerous forums and message boards. One of the most interesting rumors, at least to me, is that there is going to be a reduction in the number of playable factions to six. Fantasy currently boasts 15 separate factions. That is quite a bit to keep up on. You can argue that in 40K they have nearly as many factions, but they've made an effort to consolidate the factions, in so much that while there are 19 force books, ultimately there are only 7 encompassing factions. Throughout the events of The End Times, we're seeing one major theme; destruction and survival. Lets go through some of the more notable events in a Fantasy fluff deep dive, starting with the Elves - or as they are now called, the Host of the Eternity King. There is a lot of retconning, but at the end of it all it turns out the Dark Elves weren't worshipping the Chaos God Slaneesh like everyone thought they were, but rather Atharti the Elven goddess of pleasure. Malekith, leader of the Dark Elves turns out to be the one true King of the elves, and returns to the ancestral lands to claim his right of rule. The Wood Elves pledge loyalty to the one true king, and after a terrible battle between those loyal to the old Phoenix King and the new elven host that results in the High Elven lands sinking into the ocean, the survivors all travel to the lands of the Wood Elves where Malekith is crowned the Eternity King. This is barely a tenth of the events that have been transpiring for the elves, as there is simply far too much to cover in one sitting, but it consolidates what was once three separate (and very different!) forces into one united front. The theme continues with the Bretonians, Dwarves and the Empire, as they have received similar levels of explosion and consolidation. The Green Knight turns out to be the founder of Bretonia, and takes over rule as a god-king purging any taint from the realms. The lady of the lake turns out to be an elven goddess, Lileath, who explains that the end times is a cycle of death and rebirth that has been perpetuated for time untold, and is ushering members of the various races into the next world as the new gods. The empire has been largely ravaged fighting the chaos forces such as the Glottkin, and the Dwarves have lost a number of their leaders to war or Nagash. Everything that is happening in the stories of these three forces points heavily towards them coming together for mutual survival. 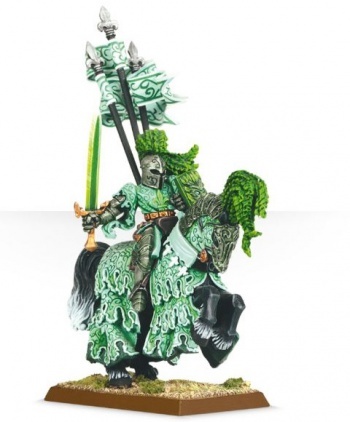 The undead, both vampires and tomb kings, have been unified under the banner of the Undead Host, similar to the Elves, as they join under the influence of Nagash or face utter destruction. The Daemons of Chaos as well as Warriors of Chaos are on an all out rampage across the globe resulting in a number important character deaths. The Skaven also have not been idle and have been rampaging across the globe as well, and have done enough damage to the Lizardmen in Lustria that they have considered activating the ancient relics left behind by the Old Gods to leave this world. This has lead many to believe the the following will be how things shake out in the aftermath of the end times.